Your basket is empty. Check out our shop. A spectacular anti-ageing therapy based on the skincare benefits offered by stones, crystals & minerals. Rich in zinc & iron this treatment regenerates and restores the skin’s youthfulness, increasing the skin’s luminosity and combating the signs of ageing. The ultimate facial to lift and re-define facial features. At the heart of this treatment lies our unique and exclusive complex, V-Matrix. With flaccidity in the skin beginning in the deepest layers, V-Matrix works at the root of the problem to rebuild and restructure the dermis, transforming the skin from the inside out. 100% of clients have a more defined facial contour after 1 session (self-assessment test on 111 individuals after 1 treatment). The lifting effect is seen immediately and this treatment is highly recommended for any person who is concerned with the ageing effects on their skin over time. Combining the richness of sea plants and marine brown and red algae. This therapy helps to reduce the appearance of cellulite by eliminating fat in the adipocytes (fat cells) and stimulating drainage. 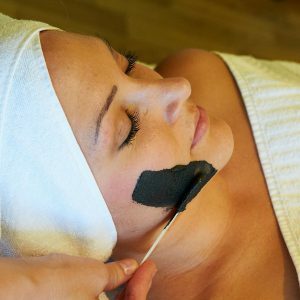 The treatment commences with our Aromatic Exfoliation and is then followed with the Algae Wrap and completed with a relaxing lymph drainage massage.